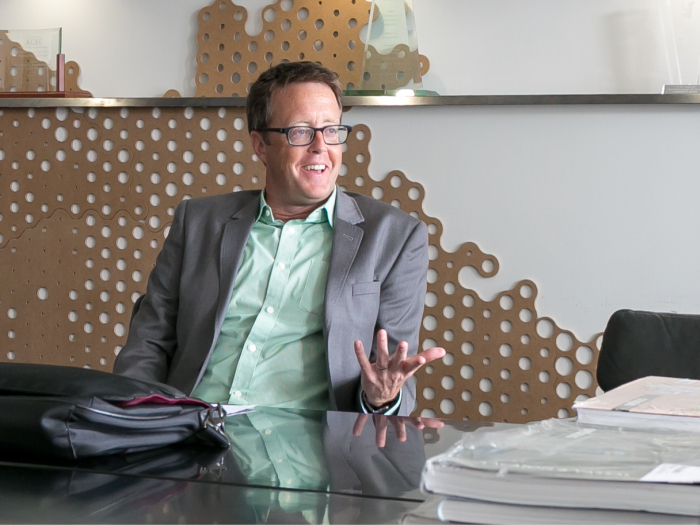 Professor Todd Gannon has been appointed the section head of architecture at Ohio State University’s Austin E. Knowlton School of Architecture. Gannon received both his undergraduate and graduate architecture degrees at the Knowlton School before going on to UCLA for his Ph.D. His academic studies focused on the history and theory of contemporary architecture in the late 20th century. “I am thrilled to return to Columbus and to rejoin the Knowlton School as architecture section head. Ohio State is one of the premier public universities in the country and the Knowlton School has long played a leading role in advancing both the discipline and the practice of architecture worldwide,” said Gannon in a statement. Last year, the Knowlton School of Architecture’s MArch program ranked #25 in the U.S. according to Design Intelligence. US News & World Report ranked Ohio State as #16 in Top Public Schools this year. Gannon was most recently at SCI-Arc where he taught history, theory, and design studio. He has several published works including The Light Construction Reader and Pendulum Plane/Oyler Wu Collaborative as well as two forthcoming books on architecture critic and historian Reyner Banham and unbuilt architecture in Southern California. At Knowlton, Gannon juried the graduate architecture Exit Review Prize and lectured at the 2014 Baumer Lecture Series.